Fiona Murfitt is the Head of Health (incl Industrial Hygiene), Security, Safety and Environment (HSSE) for Ausgrid Australia. Managing and leading a team of professionals, she reports directly to the CEO and has accountabilities that includes the delivery of the strategic direction of HSSE across the business for continual improvement, the management of the behavioural and cognitive safety leadership approach, the provision of robust Assurance programmes and return to work, and the provision of HSSE subject matter expertise to support the ongoing management of HSSE across the business. 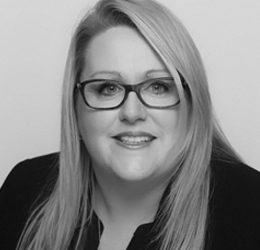 Fiona’s career has predominantly focused on working within high-risk operations, with more than fifteen years working within the oil and gas industry. She has held positions in Safety (HSSE), Contractor Management and Risk Management and also spent time as Director for Australia, NZ & Pacific Islands for Dupont’s consulting arm helping companies build safer more efficient and reliable operations. Her passion around safety, performance and culture change came after a family member – Kevin was killed at work. Kevin was a contractor working on a shutdown at a refinery and the impacts to the family and friends have left a deep impression. As such, being able to influence the improvement of an organisation’s performance in a safe and sustainable way holds a deeply personal connection for her.